The Bible contains great advice to encourage God's people in every situation they face. Whether we need a boost of courage or an infusion of motivation, we can turn to the Word of God for just the right counsel. This collection of inspirational Bible verses will lift your spirit with messages of hope from Scripture. At first glance, this opening Bible verse may not seem inspiring. David found himself in a desperate situation in Ziklag. The Amalekites had plundered and burned the city. David and his men were grieving their losses. Their profound grief turned into anger, and now the people wanted to stone David to death because he left the city vulnerable. 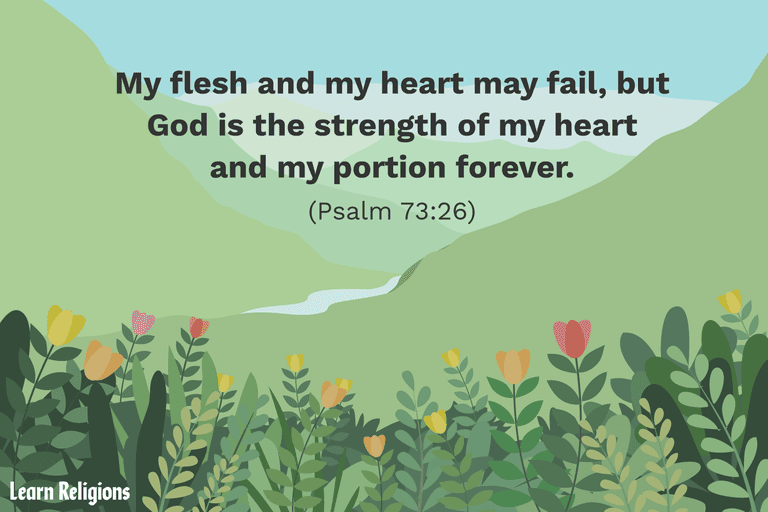 As God's children, we can find security and completeness in his love. Our heavenly Father is on our side. Nothing can ever separate us from his great love. Need a quick fix for anxiety? The answer is prayer. Worrying will accomplish nothing, but prayer mixed with praise will result in a secure sense of peace. When we go through a trial, we ought to remember that it is an occasion for joy because it can potentially produce something good in us. God allows difficulties in a believer's life for a purpose.